Hope's Cafe: Satin Lip Gloss From Ageless Derma!! this looks really great, I love lip products. 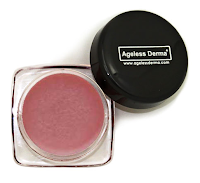 The Satin Lip Gloss from Ageless Derma seems like a terrific brand to try. I am looking for nice light pink colors like this.